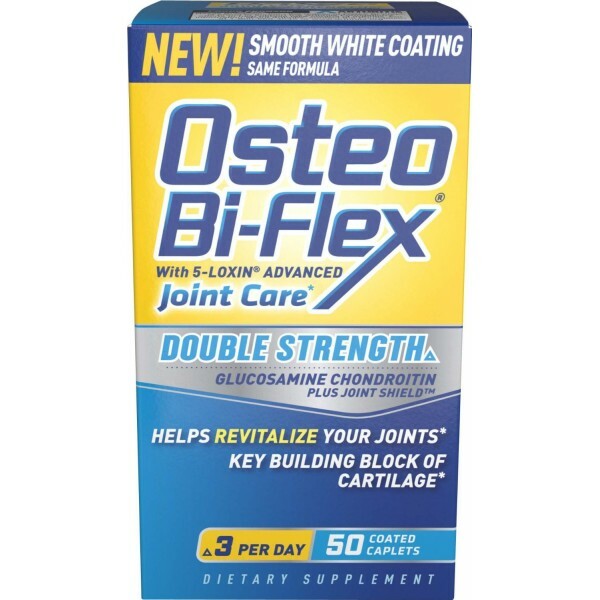 Osteo bi-flex contains glucosamine hcl to cushion the joints and promote range of motion also includes a specialized joint shield blend that includes chondroitin, msm, collagen, vitamin c and more. Osteo Bi-Flex is manufactured under the strictest standards for product purity and potency. 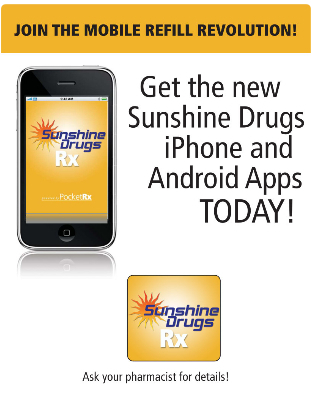 It is made exclusively with naturally sourced glucosamine†. 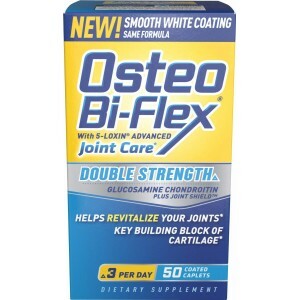 With Osteo Bi-Flex, you can rest assured that what is on the label is what you are getting. Glucosamine provides the building blocks for helping cartilage to renew. The longer you take Osteo Bi-Flex the longer your body will benefit. 1 This statement is based on two human studies of 5-LOXIN Advanced using subjective measures in which participants rate their joint health. In these studies, after seven days, improvement continued to be seen, including in biomarker analysis.